Finally here after a series of spy shots and speculation, the Yamaha MT-15 is quite a looker with its unconventional headlight assembly and attractive paint schemes. 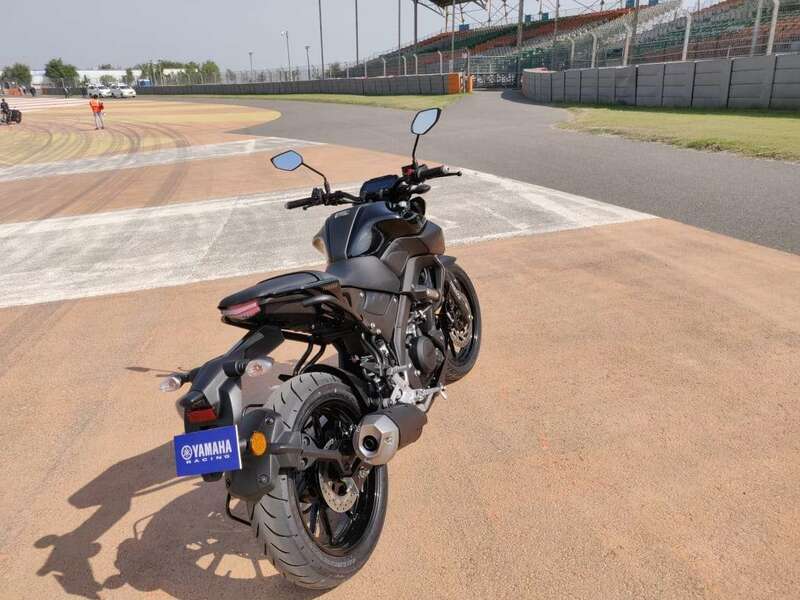 We were given some time with the motorcycle on the Buddh International Circuit to have a taste of what this motorcycle has to offer and to tell you everything that there is to know about this piece of machinery. Based on the YZF-R15 sports bike, the MT-15 aims to be a more usable, city-friendly version of the former bike. This change in the riding style is achieved by a number of changes over the sports bike. 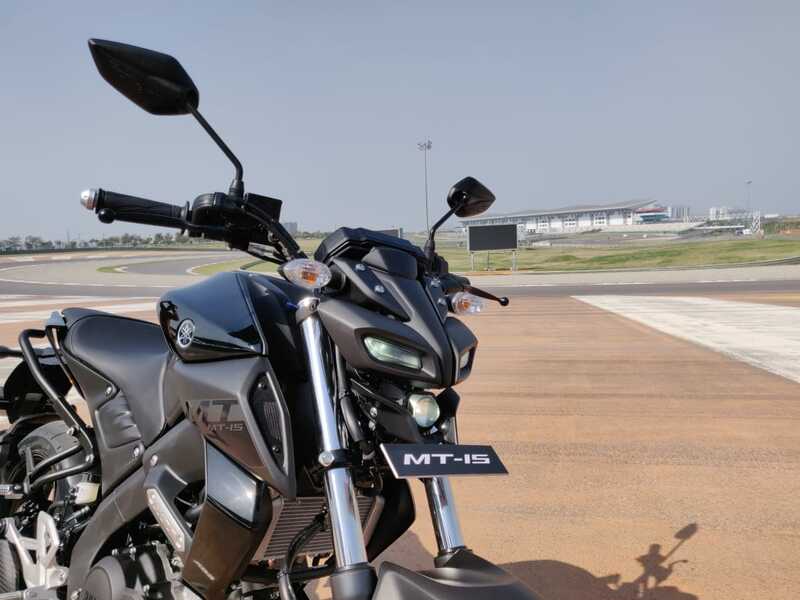 Priced at INR 1.36 Lakh, the MT-15 is quite a pricey motorcycle and is quite close to the FZ25 in terms of price, some cannibalisation can be expected here. What differentiates the MT-15 and the YZF-R15? How does the Yamaha MT-15 ride? With the same 155.1 cc engine from the R15, the MT-15 generates 19.3 bhp and 14.7 Nm of torque. As mentioned above, the changes in the sprocket with 52 teeth which makes the MT-15 a better machine for city than the R15. The build quality is as you would expect from a Yamaha, everything is solid and well put together and no vibrations are allowed to hit the handlebar at any speed of the engine. 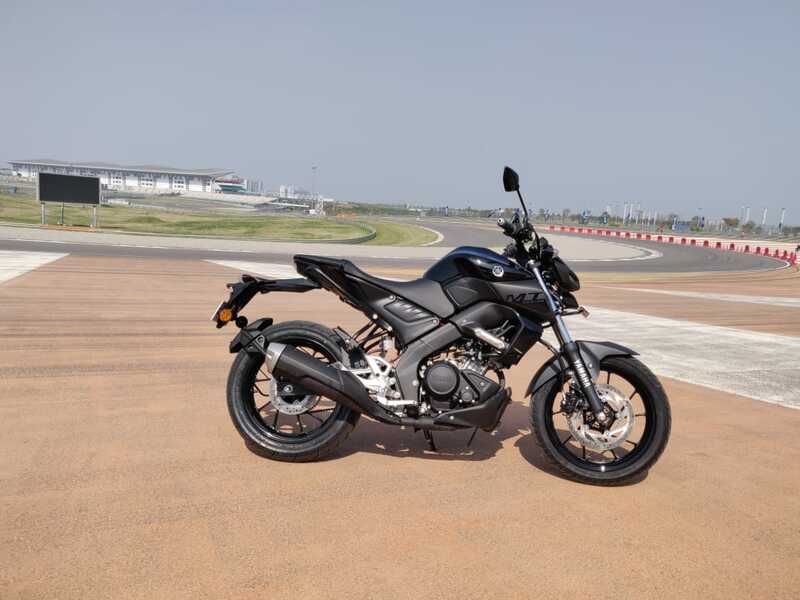 The seating position on the MT-15 is not as committed as in the R15 motorcycle which makes this street bike much more rider friendly and much more usable on a daily basis. What features do I get with the Yamaha MT-15? The Yamaha MT-15 carries the same instrument console as the R15 but is darkly backlit which Yamaha likes to call reverse instrument console. Just like the R15, you get a gear indicator and a bunch of other equipment. What comes across as a disappointment, especially in this price bracket is the fact that Yamaha offers only a single channel ABS system. The headlight cluster looks quite striking and comprises two pilot lamps and one projector headlamps which illuminates the road ahead. The headlight cluster is all LED but the indicators get conventional bulbs in them. What else is there to know about the MT-15? We had very limited time with the motorcycle this time but we have summed up tall that’s there to be known about the motorcycle in the two videos embedded along with this article. That said, we shall be bringing you a very in-depth review of the bike very soon when we get the bike for some more time. We shall be in a better position to answer your questions at that point of time so stay tuned, meanwhile, do watch this video which describes our first riding experience of the motorcycle.